Click Here To See Batman #208 Comic Book! Check out this very nice 1968 SILVER AGE DC Batman page, which was penciled by the great Gil Kane, and inked by the great Jack Abel, from the story titled: "The Women in Batman's Life!" Batman #208 was the last true 80 Page Giant for this title from the 1960's (two other giant-size issues were of a reduced page count). 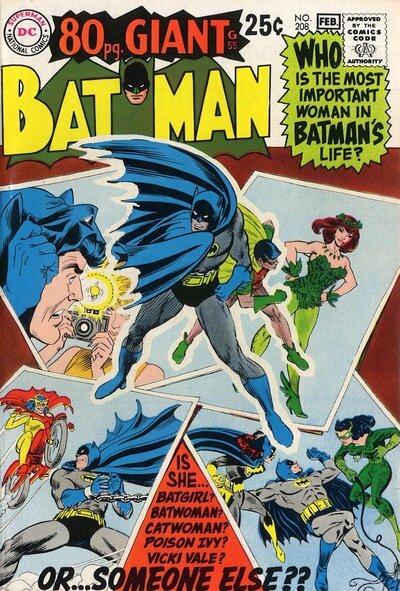 Unlike other 80 Pagers that came before, this issue included a "NEW" story created as a framing device for the reprints, and it focused on "The Women in Batman's Life!" 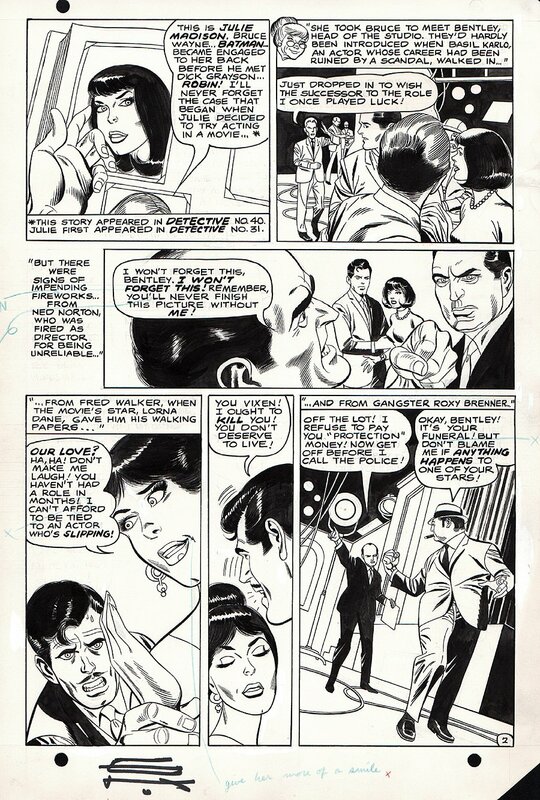 Gil Kane's dynamic rendering on this great Silver Age page is simply MASTERFUL! Page includes Gil Kane's distinctive initials along the bottom border! SILVER AGE DC Batman pages are VERY hard to find in the hobby these days, so don't miss out on a great opportunity here to own a nice SILVER Age GIL KANE 1968 Batman page! ALL art on our website (including this one) are able to be purchased with VERY fair time payments, and trades are always considered towards "ANY" art on our website! Just send us an email to mikeburkey@aol.com and we can try to work something out.